Welcome to the Buffalos FC Academy ID Camp page! Thank you for your interest in joining the BFC soccer family! We look forward to meeting you, if you have any questions please don't hesitate to reach out! DON'T BE ALARMED!!! When you register for the Academy ID Camp it shares a registration with our Tryouts, in order to properly collect all player's contact information in one registration. Buffalos FC Academy Program is OPEN REGISTRATION and does not require a TRYOUT to join our program! 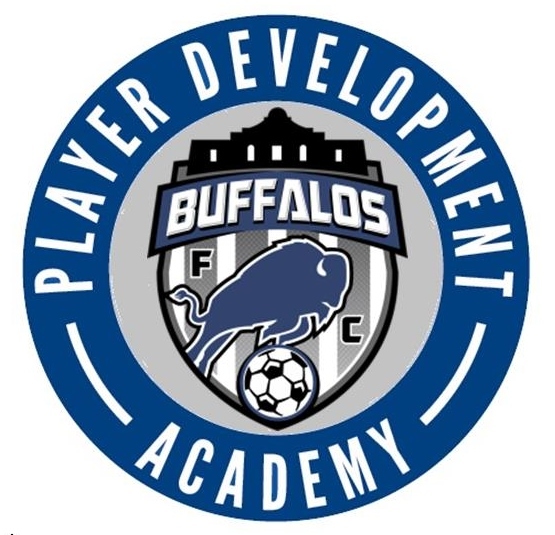 ALL players wishing to join the Buffalos FC Academy Program will be placed on a team, the purpose of the Academy ID Camp is to evaluate player skill levels and place them on the appropriate team. Academy ID Camps will be held in the Fall and Spring each year. Buffalos FC uses its own registration system, called Demosphere, player(s) are added to GotSoccer once they sign their player agreeement. All players interested in our BFC Academy Program MUST register prior to attending an ID Camp or Training Session. Please CLICK HERE or click on the Register Now button. TIP: If you did not receive a confirmation email from Demosphere, you DID NOT complete the online registration process and thus will need to log back in to your account and continue the process. You will know that you have completed online registration when you get to Registration Step 5.3 "Registration Order Complete". Player Registration Database: Team Rosters, Player Cards, League Registration, Team Event Registration System. USYS / STYSA / WDDOA / AAYSA uses this sytem maintain youth soccer player records. What if I missed the Academy ID Camp Dates? Don't worry - just register anyway and when we get your registration you will be contacted by our DOC. He will invite you out to join our teams during their training sessions. If you decided to join Buffalos FC, depending on where we are at in the season, he can pro-rate the player fee amount. BFC can accept new players anytime during the year - there are no restrictions at this age level. If I attend the Academy ID Camp - Do I have to join the BFC Academy Program? No, one of the main purposes of the BFC Academy ID Camp is introduce Buffalos FC to players and parents. Players do not have commit to our academy program if they attend the Academy ID Camp. Buffalos FC Academy Program is OPEN REGISTRATION you don't even have to attend the Academy ID Camp. BFC Academy ID Camp / Tryouts Events are FREE for all players who register online. However, there will be a $10.00 fee for walk-up registration. The purpose of the walk-up fee is to provide an incentive for players to register online before tryouts. With the large numbers of players anticipated at tryouts, it is imperative that our staff is prepared and organized so that tryouts can run as smooth as possible. Academy ID Camp will be held at Specht Road Soccer Complex (204 W. Specht Road, 78260). Academy ID Camp will take place on Field #3 or #5. When you arrive please check-in to get the field assignments. When you arrive to check-in, please have your confirmation email for Tryout/Academy ID camp registration with you in case we do not have you listed on the pre-registered list. If you did not receive a confirmation email from Demosphere, you did NOT complete the online registration process and thus will need to log back in to your account and continue the process. You will know that you have completed online registration when you get to Registration Step 5.3 "Registration Order Complete". Player(s) will complete age appropriate PDI Technical Assessments and then they will play in small-sided game. Attending the Academy ID Camp is HIGHLY RECOMMENDED - A great way for players to get a chance to meet teammates and coaching staff before they join our program, and for coaching staff to evaulate players and identify the best team or level to place them at. Spectators and Parents please stay in the designated areas during the Academy ID Camp, time is limited and coaching staff needs to concentrate on watching the players and we do not want any distractions during the session.